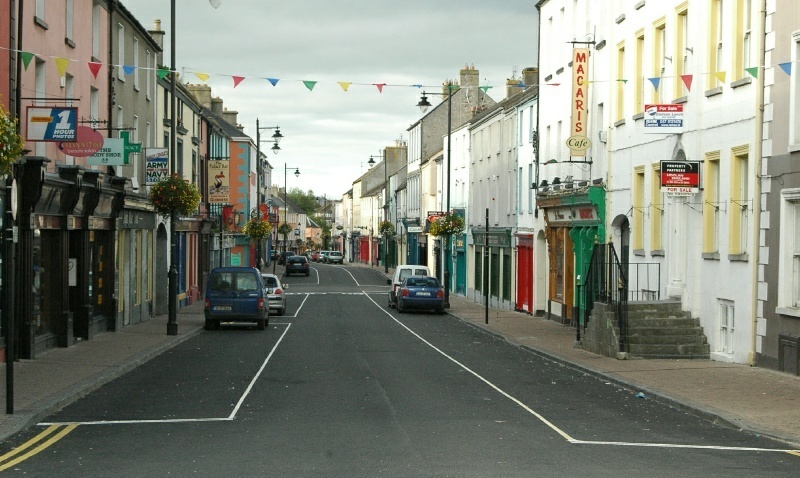 Main Street, Birr, looking downhill from Emmett Square. This was taken on a Sunday morning; the street is more typically bustling with people and traffic. For a midlands town, Birr's traffic routing is remarkably sensible -- most streets are one-way, alleviating the more typical mundane traffic conflicts that are the more irritating norm in other towns.